Sensitive corporate data has rapidly moved from servers and desktops to mobile devices and cloud-based apps. 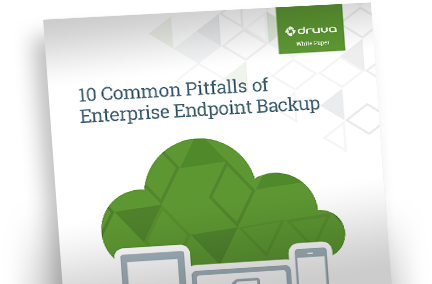 These commonly occuring mistakes can easily be avoided when planning and deploying your endpoint backup solution for a massive amount of data. 51% of end users found their current backup solution to be intrusive; is their data protected? Read this checklist before you start to ensure a successful, complete solution.